LATICRETE has introduced its enhanced DRYTEK® Skimcoat fast-drying, premium-quality underlayment. The improved formula can now hold more water, resulting in a creamier consistency for a smoother application and sleeker finish, as well as an extended pot life and easier troweling. 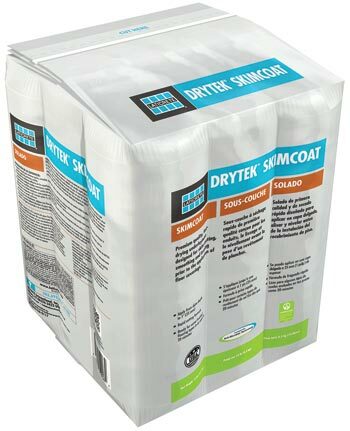 Additionally, the new DRYTEK Skimcoat packaging has been redesigned with a tin-tie resealable feature that allows the product to be saved for additional uses, minimizing product waste and increasing cost savings for the installer. Designed to meet UL GREENGUARD certification standards for low chemical emissions, the new DRYTEK Skimcoat can be utilized at high-profile jobsites, including hospitals and schools.